California lawmakers are getting serious about distracted driving. Over the last decade, several laws have been passed that address the issue of driving while using cell phones and other handheld devices. The handheld wireless telephone law, which prohibits drivers from holding a phone while behind the wheel, was passed in 2008. In 2009, California’s Wireless Communications Device Law went into effect, banning drivers from composing, sending, or reading texts. As of 2017, drivers can no longer hold their phones for any reason, such as using navigation apps or choosing music. 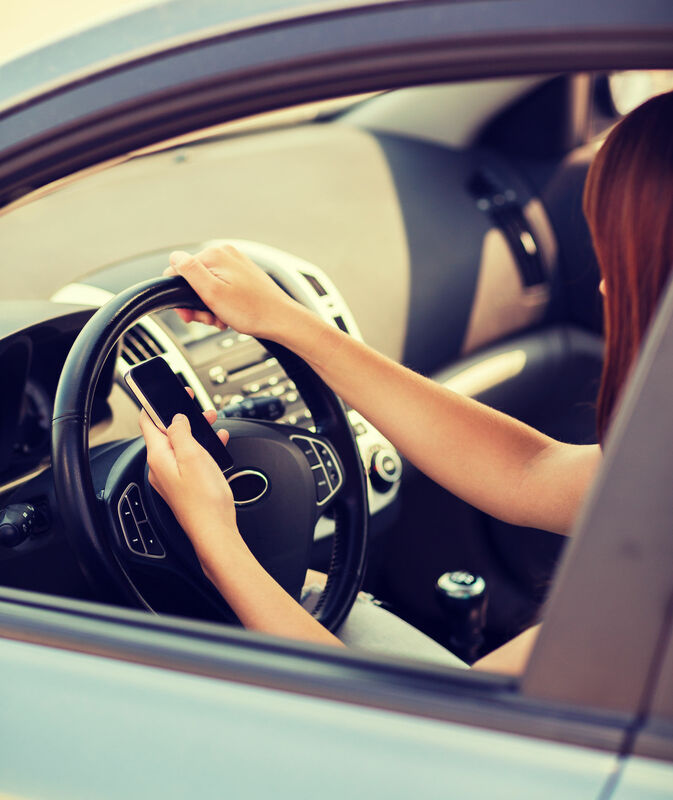 Now, Senate Bill 1030 aims to ramp up the consequences for distracted driving even further. If it becomes law, the violator will receive a point on their driving record in addition to paying the current fine. According to data from the National Highway Traffic Safety Administration, texting while driving a vehicle is six times more dangerous than driving while intoxicated. Preliminary information indicates that 2017 was the second year in a row that motor vehicle deaths rose above 40,000. And distracted driving is mostly to blame. Even with the current laws that aim to curb distracted driving, 50,000 drivers received citations for using their phones in 2017. For every driver who is pulled over, there are countless others who are practicing this unsafe behavior that have not been caught. With the proliferation of “infotainment apps,” it is more tempting than ever for drivers to read news headlines, shop, watch sports highlights, or take selfies while behind the wheel. Many California lawmakers feel that the current law does not do enough to crack down on distracted driving. Much like the increase in penalties for not wearing a seatbelt led to an increase in usage, there is hope that stiffer penalties will cause more drivers to think twice about distracted driving. Senate Bill 1030, authored by Sen. Josh Newman (D-Fullerton), intends to make distracted driving a moving violation and practicing this behavior will add a point to the violator’s driving record. Points can raise insurance rates and, if you receive four points in one year, the California DMV will suspend your license for six months. Fourteen other states already add a point to a person’s record for distracted driving. On April 30, 2018, the California State Senate passed SB 1030 unanimously. The bill now moves to the State Assembly. Distracted driving continues to be a dangerous and common behavior, even with stiff penalties. If you have been the victim of an auto accident at the hands of a distracted driver and need assistance in collecting compensation, contact Hales & Associates, A Professional Law Corporation in Murrieta today at (951) 489-3320. We offer free consultations and will do everything we can to secure you the compensation you deserve.